On May 25, 1590, by direct order of King Philip II, the Spanish Inquisition arrested a young, uneducated woman from Madrid named Lucrecia de Leon on charges of heresy and treason. She was brought to a secret prison in Toledo, interrogated, and tortured to make her confess her guilt. The evidence against her was overwhelming. She had been caught conspiring with known rebels, publicly slandering the king, defying direct orders from the church, and stirring up dissent against the imperial government. Most damning was the collection of Lucrecia’s dreams, carefully recorded by a group of priests interested in apocalyptic omens who came to her house each morning to transcribe what she had seen the previous night. 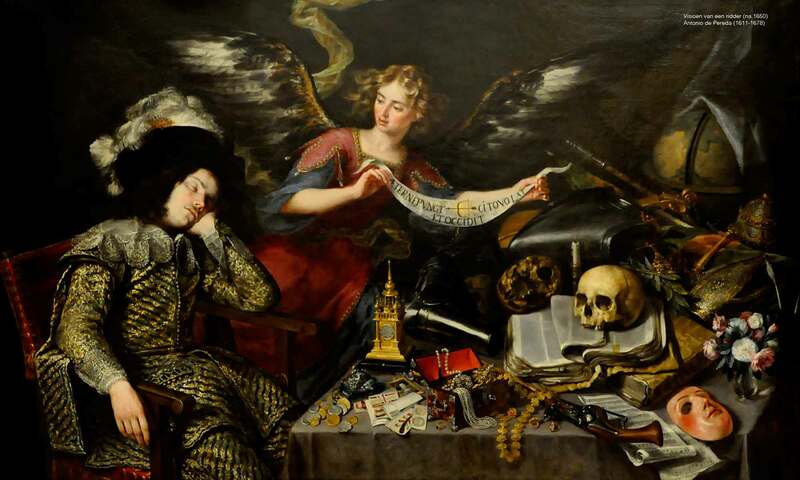 The dreams were filled with scandalous political and religious imagery, and Lucrecia had been openly sharing them with people at the highest levels of Spanish society. It seemed like an open-and-shut case. The Inquisition had dispatched thousands of heretics to their eternal fate based on far less evidence than this. And yet, Lucrecia’s trial did not end quickly. It dragged on for five years, one of the longest trials in Inquisition history, and the final verdict against her deviated in several ways from the normal process of punishment. Why did the Spanish Inquisition, at the height of its brutally oppressive power, struggle for so long to resolve Lucrecia’s case? Because her dreams had come true. The hand-written journal compiled by the priests proved it. The Inquisition judges in Toledo had before them a document showing that Lucrecia’s dreams accurately predicted the fate of the Spanish Armada. The Armada was Spain’s invincible navy, the most powerful military force in the world, which King Philip planned to use in launching an invasion of England in 1588. Lucrecia’s dreams in 1587 and early 1588 repeatedly warned of impending disaster for the Armada, and that was indeed the unfortunate result of the attack. This put the Inquisitors in an excruciating bind. The evidence of her treasonous and heretical behavior was undeniable, and should have been sufficient to put her to death immediately. And yet the predictive accuracy of her dreams forced them to pause. Given the intensity of their Catholic faith, the Inquisitors could not help but wonder if Lucrecia might actually have some kind of prophetic gift. If this were true, then perhaps it might contrary to God’s will to persecute her. Indeed, in that case they would be the heretics, not she. But how could a divine gift like prophecy be granted to a foolish girl from a lower-class family who could barely read and write? This question seemed to vex the Inquisitors more than anything else. They looked for every possible way to discredit Lucrecia, and they relentlessly pressured her to admit she was a fraud and had made up all the dreams. For five long years, she refused to do so. Despite all of this opposition, Lucrecia continued dreaming and sharing her dreams, literally putting her life at risk in the process. The question of why she did so is the reason I wrote Lucrecia the Dreamer. What was it that gave her the courage to defy the religious, political, and parental authorities for so long? Even though she lived more than four hundred years ago, Lucrecia’s story can teach us important lessons about the extraordinary powers and potentials of the dreaming imagination. 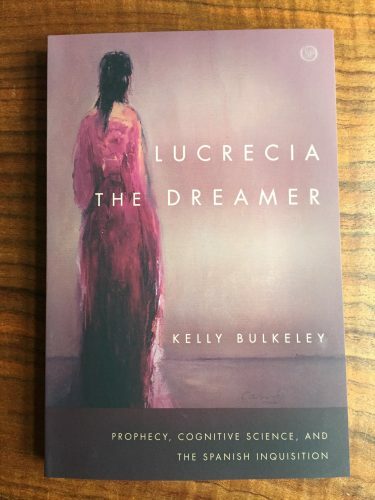 Using research from religious studies, psychology, and cognitive science, I take a naturalistic approach to the prophetic features of Lucrecia’s dreams. Her experiences reflect the sleeping mind’s ability to simulate highly realistic visions of future possibility. Lucrecia evidently possessed an unusually intensified capacity for these kinds of dreams. Other people in various places and times, including people today, have experienced similar phenomena. Perhaps everyone has the potential for such dreams, given the right circumstances. Note: this post first appeared on the Stanford University Press Author’s Blog, 2/23/18.